It’s Pink October, or Breast Cancer Awareness Month, and a lot of people are posting on Facebook, tweeting, and donating their time for pink. But I’ve also been noticing a lot of resistance from supporting the pink movement, and I was surprised to see that most of the frustration comes from breast cancer patients/survivors themselves. I’ve never really paid much attention to the movement. But because of my recent diagnosis, I became more aware of just how much ‘pink’ there is. It’s EVERYWHERE. Okok, we get it – we’re AWARE of pink. We’re aware of breast cancer. But where has all of this awareness led to? I hear the slogan “Fighting for a Cure” all the time. Walks, fundraisers, donations, all towards finding a cure. And finding a cure is incredibly important…for people who have already been diagnosed. But what about those who haven’t? 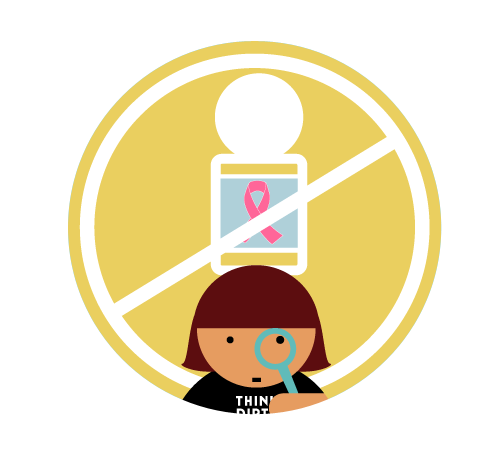 Incidences of breast cancer are only increasing every year, and educating people with methods of prevention is the best way to decrease that statistic. So why is it that the same people walking for a cure continue to eat unhealthy food and use toxic makeup? If they’re so passionate about breast cancer, why aren’t they aware of how to prevent it in themselves? And why don’t companies change their products to make them safer, but instead, use those same toxic products as leverage to ‘raise money’ for the thing that they’re causing? Texting With Cancer wasn’t made particularly to raise awareness, but it was made with the idea that people, especially around my age, don’t know what it’s like to endure the pain of diagnosis and, in particular, what it’s like to be in the midst of chemotherapy. Having cancer is not the worst – going through treatment is. Believe me, there is nothing pink and happy about it. Luckily, after my first dose of chemotherapy, my tumor (previously 5.5cm x 2.5cm) had shrunk to a point where my nurse herself said, “Wow…I can’t even feel it.” Rarely do people react to the first dose, and react so well. Although chemotherapy has undoubtedly helped with the shrinkage, I guarantee that my body has reacted so well because of the HUGE sacrifices my parents and I have made to change my lifestyle choices. From my diet, maintaining stress levels, to music therapy…I have a Himalayan salt lamp in my room, and we even moved homes – bad Feng Shui could be the culprit, who knows? I’ve thrown away all plastic containers, and replaced all my carcinogenic makeup. I’m fully aware of the incredible situation I’m in to fight this – my parents both being retired doctors, my mom being a health coach, and my brother studying clinical psychology – but I want to share all the sacrifices and mental processes I’m going through so others can learn from what we’re doing right. Most of my time is spent not only fighting this thing, but preventing it from coming back. The latter is just as important as the former, because just having been diagnosed makes me 3% more likely for it to come back with every year. I’d rather sacrifice the junk food and toxic products than live in fear for the rest of my life. The only side effect that could come of it? Being even healthier. So despite pink being absolutely EVERYWHERE, the topic of prevention is nowhere to be found in the conversation. Although we’re fighting for a cure, I’d rather work on preventing others from having to go through any pain at all. Research where your money is going to. Do you respect the stance? What, exactly, are you supporting? Are you walking for medical research? Prevention research? Awareness? Watch Pink Ribbons, Inc., a documentary exposing the pink movement. Help yourself first. When people do philanthropic acts about cancer, they often say they’re doing it for the people who are suffering. Part of this, I think, is because people never think it’ll happen to them. The best way to lower the numbers of diagnoses is to start with yourself. Instead walking some breast cancer walk for me, I’d prefer my loved ones tell me that they threw away their toxic makeup products. That they’ve chosen to eat healthier, to exercise more, and read up on what they can do to prevent it from happening in themselves, because I’d hate to see the people I love have to endure the pain that I’m going through. I’d much rather you help yourself out first, and prevent yourself from going through the same thing as me. Because I guarantee, I’m going to be just fine. This post is a guest blog post contributed by Natalie Sun, Texting from Cancer. Published with Permission.